You know how much we love a good Instagram influencer scandal, so I was thrilled to learn about today’s story. It has everything: alleged money laundering, expensive cars, a fake influencer, and multiple arrests. Ladies and gentlemen, meet Jenny Ambuila. Her story is reminiscent of the Anna Delvey saga, but like, if her entire family was in on it. I’m still trying to put all the pieces of this story together, but let’s go through what we know. Jenny Ambuila is a 26-year-old woman who is originally from Colombia, but she’s now based in Miami. She has two different Instagram accounts, and both have over 10,000 followers. They’re both set to private now, but luckily her Facebook page is still public as hell (at press time, anyway), and from Jenny’s photos, you’d think she has some serious money. 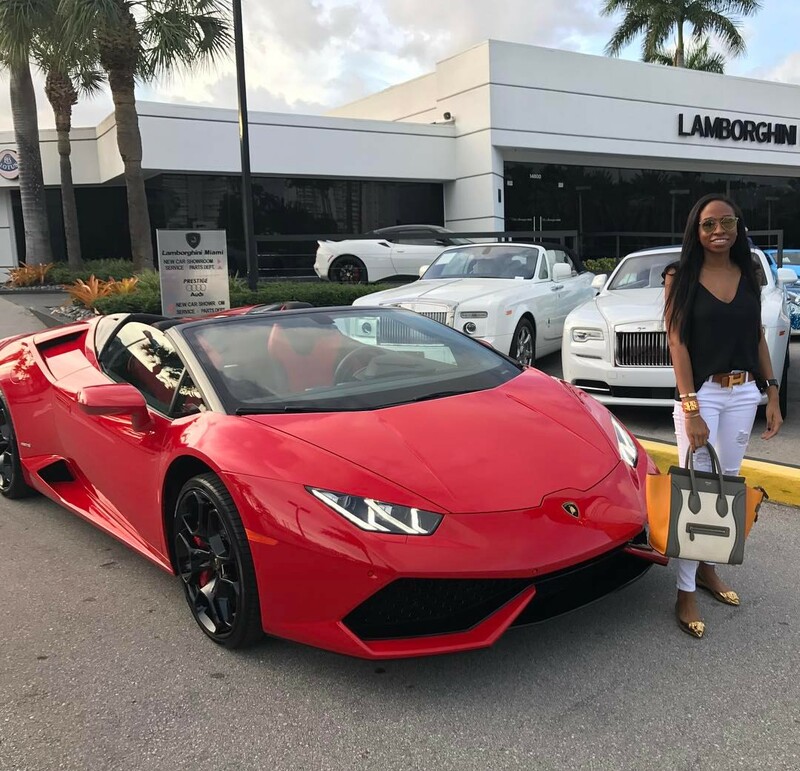 She loves to post about her Lamborghini, her expensive handbags, and her lifestyle of luxe international travel. Before we even get to the whole reason this is all fake, let’s first talk about her social media presence. The funny thing is that this girl doesn’t seem to have any sort of aesthetic or photo editing skills. Usually with influencers, they have some kind of “look” to their feed, and they take quality photos (or just edit the hell out of them to make them look quality). Jenny’s Facebook photos, though, just look like she just hit the “upload new profile picture” button and banged it out right then and there without even applying any filters. She’s not even posing! It’s tacky as hell, and I love it. 10 insane days in Vegas. Zero sleep, full time partying & excessive drinking. I’ve got to wonder, with eight Twitter followers and no likes on this tweet, who was she allegedly “full time partying & excessive drinking” with?? I’m obsessed. This whole thing reeks of new money, and so obviously her parents must be loaded, no? Well… no. Jenny is a student at University of Miami, so her lifestyle is bankrolled by her dad, who lives back in Colombia. The problem? Jenny’s dad is a customs inspector at a sea port, and he only makes $3,000 a month. Now, I’m no math genius, but by my calculations, that’s not nearly enough to buy a $300,000 Lamborghini. Something does not compute! To paint a picture for you, I make more than Jenny’s dad, and I can barely afford a monthly Metrocard. Clearly, Jenny’s lavish posts raised some eyebrows back in Colombia, and this led authorities to launch an investigation into her purchases. Turns out, her father Omar has allegedly been accepting bribes in order to let goods into the country tax-free. Since 2012, he’s reportedly pocketed millions of dollars in illegal payments, which sounds a bit more like Lamborghini money than that $3,000 a month we were talking about before. Last Friday, Jenny and both of her parents were arrested while on vacation in Colombia, and now they’re on house arrest while they face money laundering charges. Oof. Jenny hasn’t made a statement or anything about the arrest, probably because no one actually cares about what she has to say, or because it’s generally not a good idea to comment on pending litigation. The crazy thing is that the whole point of being an influencer is that people are invested in your personal story, and there’s nothing that interesting about Jenny, other than how hard she and her family were allegedly scamming everyone. Like, sorry, but posing with a luxury car just is not that interesting. 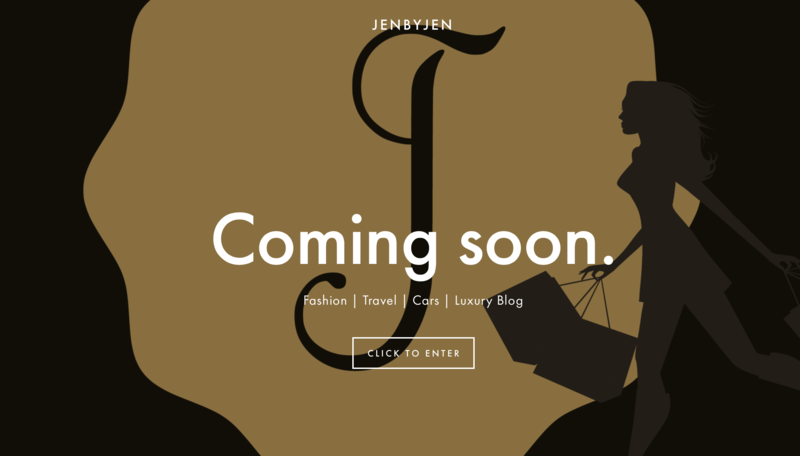 She also has a website, “jenbyjen”, which is supposed to be a “luxury blog”, I guess. Move over, Poosh! The website just says “coming soon,” but now I have a feeling it might not be so soon. What’s the moral of this story? Before you post pictures of your Chanel bags on Instagram, make sure that they weren’t bought with money from international cargo bribes! Where does Jenny Ambuila rank on the all-time list of Insta-scammers? This whole thing is less impressive than the long-con of Anna Delvey, but Jenny was definitely better at the fake influencer lifestyle than some of these basic girls. Is 2019 The Year Of The Scam?